Another weekend is coming to a close. I hope you all had fun. A couple of days ago my dear friend T-san came to hang out. 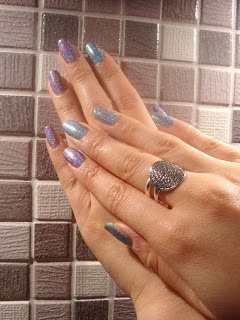 As always we talk nails and check all the latest trends and designs together. So it's not wonder that my holo mania has passed on to her as well. So I gave her a holographic manicure using China Glaze Octa Gone Wild and Kaleidoscope Him Out from the Kaleidoscope collection. 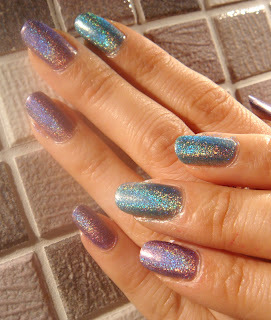 Each colour is two coats without top coat. The result was breathtaking as you can see. Here is a super zoom in to see the colours better. 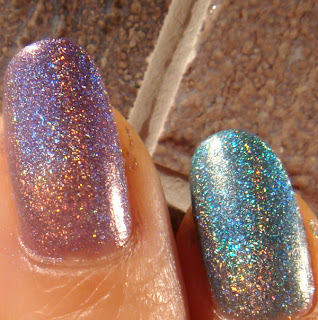 The purple holo is Octa Gone Wild and the blue one is Kaleidoscope Him Out. 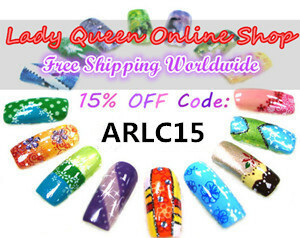 Do you have any of these colours? What is your opinion? great color~ both suits each other, so cute~ thanks for sharing! AHH, I want that manicure! So lucky ya have a holo! They always turn out so prettiful! Great combination! I wish I'd gotten more from this collection when it came out. @Katrina holos are the best! These are gorgeous! I'd love to get my hands on them.